Robert Callan Jr. is a fifth generation San Franciscan, property owner, married, and a father of two young children. Robert comes from a real estate background as both his grandfathers owned real estate companies and his mother, Barbara Callan, has been ranked San Francisco's #1 Realtor per the Wall Street Journal numerous times. Robert was ranked San Francisco’s #3 Realtor per the Wall Street Journal. Robert is one of McGuire Real Estate’s top agents and has been a Top Producer for 2017, 2016, 2015, 2014, 2013, 2012, 2011, 2010, 2009, 2008, 2007, 2006, 2005. 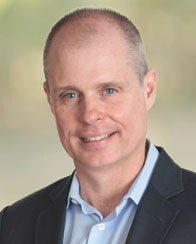 Robert was also named a McGuire Partner just two years after becoming an associate at McGuire Real Estate. In his first year at McGuire Robert received the prestigious Rookie of the Year Award. Robert works with Barbara Callan and they are McGuire’s #1 Team Company-Wide. Robert graduated from Saint Ignatius College Preparatory in 1984 and Boston College in 1988. He is active in the alumni communities of both schools. He has traveled in over 40 states and 20 countries and enjoys learning and spending time with people from all over the world. Robert is an avid open water swimmer in the San Francisco Bay (sans wetsuit), an ultra-marathon runner, a private pilot, and as a golf member of the Olympic Club, enjoys playing golf. Robert also enjoys doing Bikram Yoga regularly. Service is very important to Robert. Robert works with his brother Geoff and sister-in-law Hilary Newsom-Callan in raising money for the Cancer Prevention Institute of California through the Plumpjack/Link Golf Classic. To date, the tournament has raised millions of dollars for breast cancer, helping women get the care they need. Robert is also on the Executive Board of the San Francisco Child Abuse Prevention Center, which helps families and children avoid the terrible consequences of child abuse and neglect. Robert was also appointed as one of the first ambassadors of EARN, an organization that creates opportunities for low-wage workers to build strong futures for their families and themselves through asset building. Robert also volunteers his time at The Convent of the Sacred Heart/Stuart Hall Elementary. Eclecticism defines him. Fifth generation San Franciscan, English teacher in Tokyo, seasoned world traveler, soap opera actor, movie script reader and location manager, internet startup player, not to mention open-water swimmer, ultra-marathoner, private pilot, partially-obsessed golfer and current student of the Chinese language. Today, he’s found a home in real estate, where, in partnership with his mother, the redoubtable Barbara Callan, they top McGuire’s sales chart. However, any intimation of dilettantism can be quickly dispelled. Robert Callan is a man who has found a satisfying philosophy and arrived at a secure place in life, with goals and priorities clearly established, career balance achieved and an unwavering commitment to family as the pares inter pares of the motivations that drive him. My mother is in real estate as were my father and both grandfathers. I have aunts, uncles and cousins in the business. I wasn't interested at first. However, in 2004, I decided to give it a try. After working in the television and motion picture industry in Los Angeles, which was a tough 24/7 grind, working with different personalities and with lots of money at stake, I figured "This is a piece of cake by comparison." I started with my mom, doing open houses, checking out the business and discovered that I really loved it. I joined McGuire, and I was like a fish to water. I think I'm innately hard-wired for the business. In my first year, I was Rookie of the Year. I kept doing well until finally my mother and I started crossing clients. At that point I said "Let's just work together." What I really enjoy about real estate is that I get to work with and help people at all levels of one's life. They're just starting out. They've had their first baby. They're looking to expand for the family. They're dealing with divorce, debt, retirement and death of a loved one. Having been given the gift to participate and be a part of these situations is a great lesson. I learn how to best help other people as well as live my life. We as Realtors get to be part of the human experience that most people don't witness. We concentrate on San Francisco, 7x7, with a special focus on Pacific Heights, Presidio Heights, Cow Hollow and the Marina. Our sweet spot is single family homes, $2 to $15 million. We're a three-person team--my mother, myself, and our incredible assistant, David. We have a huge referral business, because we maintain great communication with our clients. People often say that the best relationship is with your clients. We also think that the relationships we have with other agents is equally as important because that's who we see on a daily basis. Sometimes agents don't know what they're doing, act carelessly, get caught up in their own personal drama and lack integrity. I always keep a calm mind and figure out what is the next best step to take when dealing with people like that in order to get to the desired outcome. I like the quote: "If someone offers you a free ticket to the circus, don't take it" If someone attempts to bully me, I try to figure out what they're really saying, and not bully back. I'll Zen it. When people are using bullying tactics in a negotiation, there's always a weak spot, so I just look for that weak spot. People usually bully because they're insecure. I work with my mother every day. We are a team. There is no better trust than working with family. They have integrity. They love what they do and they enjoy life. They're plugged in. They're willing to be uncomfortable; to do what other people won't do--work harder, try new things, be introspective and search for self-improvement. They're always looking for that edge. They risk failure and don't get caught up in the drama of a deal. And they can do in one hour what it takes eight hours for most people. They're usually the easiest to work with because they understand that we all have to work together to achieve a common goal—a happy client. The city is getting very expensive to live here and interest rates are low. But even though the San Francisco market goes in cycles, it will always be an outstanding long term investment because it's a city of opportunity and we attract the best and brightest people in the world. And for now, the market remains strong. Properties that are priced right and marketed well are still selling quickly. One key investment strategy is to buy early. There are neighborhoods like Golden Gate Heights and parts of the Sunset that will be good investments over time. Five years from now, people will say, "Oh, my gosh! I could have bought a house in the Outer Sunset for $1.5 million. I should have bought three of them." As one economist told me, "In the next 10 years San Francisco will be up there with Hong Kong and New York." We're talking $3,000 - $4,000 a square foot or higher. I'm an incredible optimist. I rarely get angry, lose my temper or hold a grudge - because I work on it every day. When I need to chill out, I go swimming in the bay. I also meditate every day, which I've been doing for 25 years. It reboots my system, clears the psychic cholesterol so that I can connect to the motherboard, if I can mix metaphors. It allows the solutions and ideas to flow through me and not get clogged or caught up on the way to my consciousness. I ask a lot of questions because if you ask the questions, then you'll get the answers. Also, I spend time thinking. Thinking is one of the hardest things to do. Many people don't think because they're too busy watching the Kardashians. I traveled many places in the world. A special piece of learning for me occurred when I was younger and back-packing in Bangladesh. I was invited to have dinner with a family who were poor, beyond imagination. But they had a certain joy, love and peace about themselves, and I thought, "Wow, they're probably as happy as or happier than I am and they have nothing materially. What's their secret?" That had a big impact on my life. I live with the philosophy that you get what you give. I have always been very involved in charitable organizations. Living with gratitude and giving back is very important to me. I love what I do. I don't get caught up in being too busy. I am very organized and I manage my time very effectively. I've learned that people in general waste a lot of time during each day. I like to focus on the work, and when I'm not working, I'm not working. Also, I don't compete with other agents. I only compete with myself. I genuinely believe that if I'm working on all cylinders, things will automatically work out well. I think luxury is a state of mind-- when you feel great - not just about yourself, but about life itself. And it extends to selling luxury real estate - the kind of home that's built a certain way. I own a Tesla and when I'm driving it I feel grateful, comfortable and at ease, as if I'm one with it. It's the opposite of "Hey, look at me!" Steve Jobs understood the principle. That's why he built his computers from the inside out. Luxury real estate is the same. It invokes a similar feeling when you see it and sell it. My parents have been the greatest influence in my life. They have always given me great wisdom, but they have influenced me by the way they live their lives. My parents taught me to have my priorities straight in life—family and health first. Don't be a person who thinks about nothing other than work, has no time with his family, and ignores his health. This is seventh in an in-depth interview series featuring real estate industry notables, top producers and trend setters who are redefining the business. The interviews are conducted by Alf Nucifora, Chairman of The Luxury Marketing Council of San Francisco. Dr. Madeleine K. Albright, the former ambassador to the U.N. and Secretary of State, was the keynote speaker for a luncheon for the San Francisco Child Abuse Prevention Center. She came on behalf of both the cause and her daughter, Katie Albright, the Center's Executive Director. "Being a mother is actually excellent training for high level diplomacy," Dr. Albright said. "Negotiating with children about playground rules and bedtimes isn't so different from trying to broker peace in the Middle East - except that, with children, the tantrums are less frequent and do not last for two thousand years." Timed to coincide with Child Abuse Prevention Month, which aims to raise community awareness of child abuse and neglect, the luncheon, the 12th Annual Blue Ribbon benefit, was held at the Ritz-Carlton Hotel. The 35-year-old Center is located in an historic Haight-Ashbury firehouse. It had the first TalkLine crisis and counseling line in the country. Its volunteers are available 24/7 and field more than 13,500 calls yearly. Dr. Albright was named ambassador to the U.N. in l993 and appointed by President Clinton to be Secretary of State in 1997, the first female to hold the post. Emcee Cheryl Jennings, the Emmy-Award-winning co-anchor of ABC affiliate KGO-TV, introduced Dr. Albright and interviewed her on air. The author of three best-selling books, fluent in French, Czech and Russian, Dr. Albright currently serves as a distinguished professor at Georgetown University's School of Foreign Service in Washington D.C. Although the pre-luncheon buzz was that President Obama might appoint Dr. Albright Ambassador to France, she dispelled the rumor in a TV appearance on "The Late Late Show"� the evening before. Kudos to the luncheon co-chairs, Robert Callan, Jr. and Anne Symon, for setting records with this event. It was the Center's best-attended and raised the most money ever -$300,000. Especially noteworthy in this economy. One of the organization's founder's, Linda Cannon, said most guests at her table were so inspired that they made on-the-spot additional donations and vowed to return next year to support this worthy cause. Text & Photo by Jeanne Lawrence from http://www.newyorksocialdiary.com.